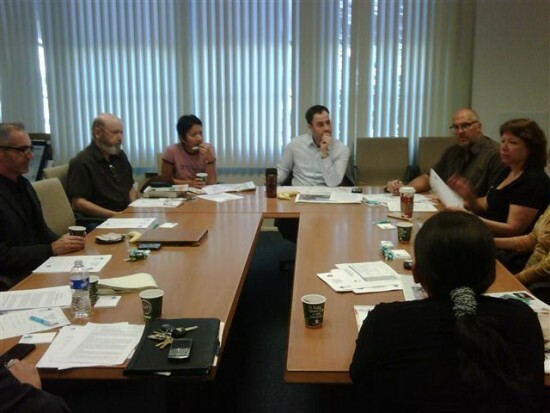 I was selected recently as one of around a dozen community members on a steering committee for the Los Angeles Neighborhood Initiative‘s (LANI) Virgil Village corridor project. The project was established in the mid-1990s during Richard Riordan’s mayoral administration as one of several neighborhoods that could qualify for beautification grants. Virgil Avenue between Melrose and Santa Monica Boulevard received street trees, pedestrian lighting, painted light poles and bike racks, banners and a “Virgil Village” community sign. Usually LANI neighborhood efforts are spearheaded by community groups or leaders but Virgil Village’s efforts have been dormant since the 2003 death of Geoff Saldivar, a local resident who founded the local neighborhood watch and was the main advocate for the initial Virgil Village LANI project. Now nearly a decade later, and a decade and a half since the initial project, LANI wanted the neighborhood to get involved again. Today’s meeting at the L.A. City College Foundation‘s offices on the college campus gathered many familiar faces from around the community: LAPD Senior Lead Officers Lenny Davis (Northeast) and Matt Zeigler (Rampart); Ryan Carpio and Mitch O’Farrell from Garcetti’s office; David Ambroz from the LACC Foundation; Joe Linton from L.A. Eco Village; Carmen from the Four Streets Co-Op and residents Damon and Guia Wood (whom I recommended to the committee due to their frequent community dedication and proximity to the project). The point of the meeting was just really an overview of the beautification project. We are to have around 10 meetings within the next few months, tour the project area, select design proposals and offer input into the design process. Funding for the project will come from CalTrans funding, which is being distributed via the Los Angeles City Department of Transportation. There was also talk of how the Bureau of Street Lighting Yard on Santa Monica Blvd could be integrated into the project. O’Farrell from CD13 informed us that Garcetti’s office already has about $200,000 in funds to green/beautify the perimeter of the facility. 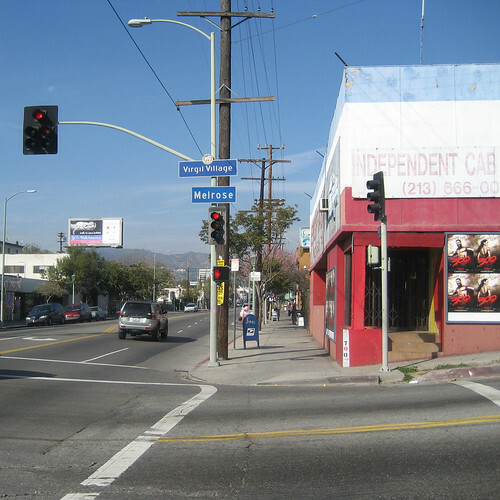 There was also initial talk on how to integrate this project with adjacent beautification projects along Hollywood Blvd, Vermont Avenue and other places. Our next meeting will be at the end of November.